Rising to the Tap Reviews! With the recent presentation of Rising to the Tap, critics were deliberately not invited to review the show. The creators (Adam Koplan, Or Matias, and Andrew Nemr) didn’t want to send the message that the show had “opened” (and then closed) as they may be planning for a real NYC premiere when they do a longer run. In the commercial theatre business reviews indicate an “open” show and Rising to the Tap is still on its way to being that. That said, without the creators knowledge, two critics came. And reviewed. On a 2 show run! That’s very rare. The good thing is that the reviews were great! Read the full reviews below. Rising to the Tap also made the Huffpost round-up of best dance performances of the year. So honored to be featured on Dancers of New York today! Check out the whole photo shoot and complete interview here. Andrew will be featured at the next QAS Monday Night Creative Salon as he celebrates the Official Appointment as The QAS @ Webster Hall’s first Artist in Residence. Come see Andrew dance, have a drink, and view choice clips from his video archives. After wards participate in an open discussion with Andrew about his incredible career, being mentored by Gregory Hines, co-founding The Tap Legacy Foundation, and of course performing as a featured artist with The QAS @ Webster Hall. The QAS @ Webster Hall proudly announces the appointment of premier tap dancer Andrew Nemr as it’s first Artist in Residence. As an organization of artists, our strongest asset is our association with talented artists, and Mr. Nemr is one of the most talented. In working with Mr. Nemr and his dance company, CPD PLUS (Cats Paying Dues), The QAS @ Webster Hall looks forward to doing everything it can to further develop and present his enormous talent to the world at large. 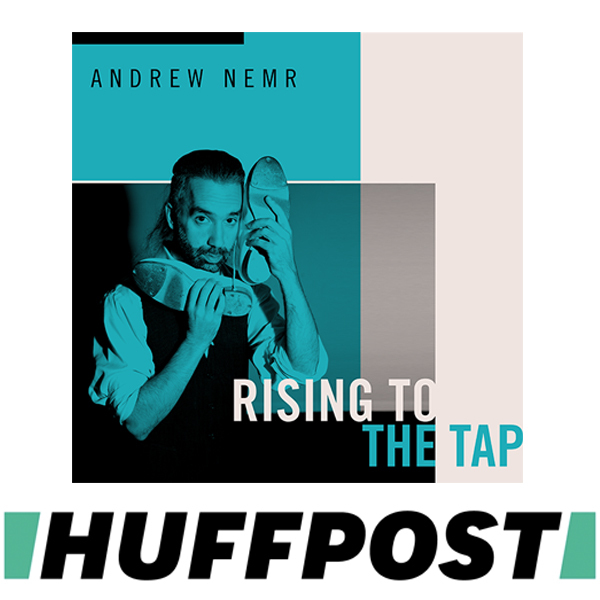 Melba Huber has written a great featured article on Andrew and his tap dance journey thus far. Check it out here.